What type final arrangements will I need for my loved one? How will the funeral home or crematory care for my deceased family member? What type of ceremony will best honor the memory of my loved one? 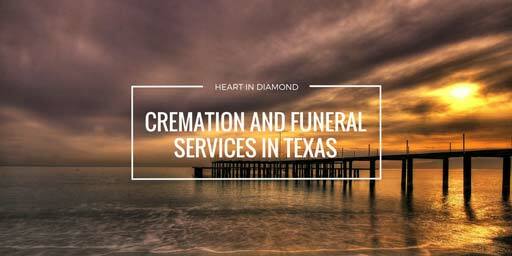 But where do you go to find a trusted cremation/memorial or funeral service provider in the state of Texas? Providing the opportunity for family members to create a ceremony or memorial that is just as unique as the person who passed away, Restland Funeral Home has been helping people celebrate the lives of their loved ones for many years. Their website offers a visualization tool that allows visitors to explore memorial possibilities. Restland Funeral Home serves the greater area of Dallas, Texas. They have been a gathering place for the community for more than 100 years and they are considered a trusted place to celebrate and honor the memories of the deceased. Providing comfort for families even after the funeral is complete, the Lumberton Family Funeral Home offers a sign up on their website to receive daily grief support for an entire year. This funeral home serves the Lumberton, Texas area. Providing 24-hour support, this company welcomes calls anytime day or night, and promises to guide families through the tough decisions that need to be made in their most difficult hour. The reputation for this funeral home on Google is impeccable with a perfect five-star rating from the 14 reviews left on the platform. Their number one goal is to provide high-quality affordable funeral and cremation services to the public. The staff at Seaside Memorial Park & Funeral Services is committed to offering the grieving an actual home, a comforting and inviting place to remember and celebrate the lives of those who have passed on. Seaside Memorial is happy to serve the area of Corpus Christi, Texas with their decades of combined experience. Sunset Funeral Homes has three locations serving El Paso, Texas. At Sunset Funeral Homes, they focus on more than just providing death care services to the public, they create healing experiences in the community. They have built their solid reputation on quality, sincerity, and trust.